Antique sewing machines are very popular collectible items, resulting in a large demand for antique sewing machine parts. Fortunately for collectors, these parts are relatively easy to find. 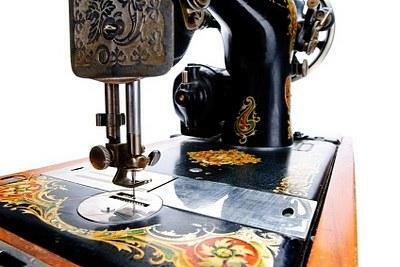 Collecting antique and vintage sewing machines is big business and a very popular hobby in many countries. Antique sewing machines have strong appeal to collectors because they are visually stunning and have such an important role in the advancement of our human society. The sewing machine was an important advance in technology because it made mass production of clothing and textiles possible. Whether one collects home sewing machines or industrial sewing machines, most collectors are simply passionate about these beautiful antiques. Serious collectors can join the International Sewing Machine Collector's Society. This global club of antique sewing machine enthusiasts was founded in 1985 by a small group of English sewing machine collectors in the UK. The organization has grown to include members on every continent with additional branches in America and Australia. A1 Sewing Machine Parts Inc. If you are interested in collecting antique sewing machines for the purpose of repairing and trying to resell them, these are the types of sewing machines you should look for. According to Antiqbuyer.com, one easy way to tell the value of an antique sewing machine is by the serial number. An old sewing machine from any maker with a serial number of 5000 or less will have more value, especially those from obscure manufacturers. Sewing machines with serial numbers above 50,000 would be considered later models had basically common. Even if the machine dates back to 1890, the higher serial number makes it less valuable to serious collectors. By far the largest and most successful manufacturer of antique sewing machines was the Singer company. While the majority of early 20th century, vintage Singer sewing machines are valuable as decorative items only, the early Singer models mentioned above still hold value as collectible antiques. The good thing about restoring a Singer sewing machine is that the company is still around and replacement parts for antique Singer sewing machines are still available through the company. Singer Model 221 and 222 Featherweight Sewing Machines are considered the perfect vintage portable sewing machines by antique collectors, quilters and seamstresses. These vintage sewing machines are a hot item for both buyers and sellers and refurbished, working machines in good condition are selling for $500 to $650 online. Whether you're looking for an antique sewing machine for a decorative item for your home or you want to use one for sewing projects around the house, these beautiful machines make wonderful collectibles.